The IAAPA Attractions Expo 2018 in Orlando, Florida takes place 13 to 16 November at the city’s Orange County Convention Center. It’s a hugely exciting week and here’s some of the reasons why. 10th November, 2018- Attractions companies from across the world exhibit on the show floor at the IAAPA Attractions Expo 2018. Aside from our own booth – #3272 – here are some others you should not miss. The future of attractions rests on the integration of advanced technology, more immersive storytelling and more direct control for guests. For such attractions to be a true success, everything must be seamlessly integrated. CAVU offers a globally-recognized engineering and project management team who delivers your attraction on time and on budget. CAVU recently announced a partnership with visual effects specialist Framestore. Together, they will introduce a new genre of rides called Game Changers at the expo. These attractions bring together CAVU’s engineering mastery in location-based entertainment, and Framestore’s world-renowned visual effects; two creative and technical companies with a legacy of world-class innovation and award-winning work, collaborating to create exciting new experiences. Euclideon Entertainment, has turned a futuristic gaming concept into reality with its Hologram Gaming Table. As soon as a game is selected, the table ‘vanishes’ and the objects come to life. The holograms appear on each user’s side of the table. They are projected up to 70cm above the table and up to 100cm below the table. 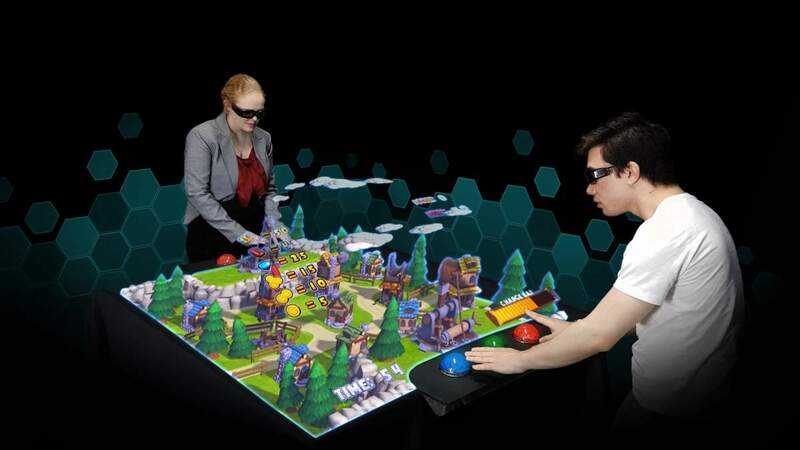 Once the dream of sci-fi movie-makers, the Hologram Gaming Table generates objects out of light that appear to float in front of players in mid-air. They will debut the table at the IAAPA conference. 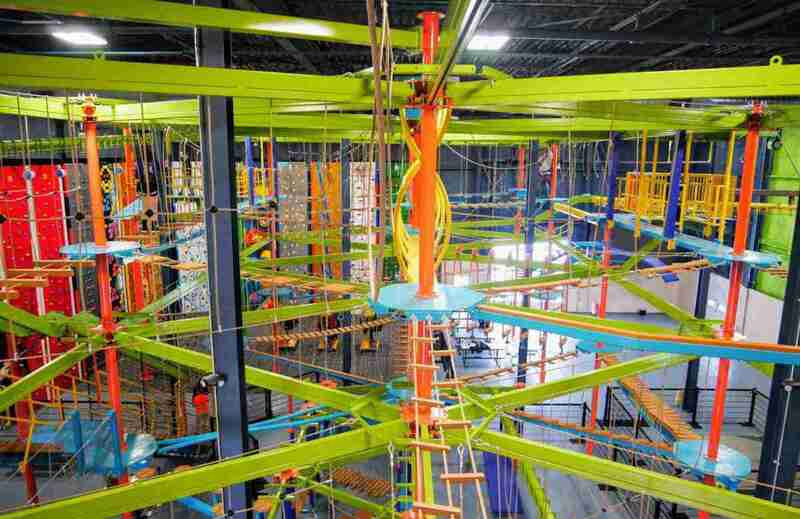 Ropes Courses, Inc. (RCI), has spent this year looking beyond its home turf to regions with an emerging demand for physically interactive experiences. Already well-established in North America, appearances at key trade shows in Europe, the Middle East, and Asia have highlighted the emerging demand for the company’s products. These include the Sky Trail and Sky Rail aerial attractions, Clip ‘n Climb vertical climbing walls, Sky Tykes for kids, and the newly acquired Amaze’n Mazes human labyrinths. 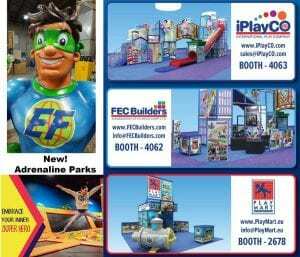 At the IAAPA Expo, the company will be showcasing its signature attractions as well as celebrating 30 years in business with the unveiling of a new brand identity. 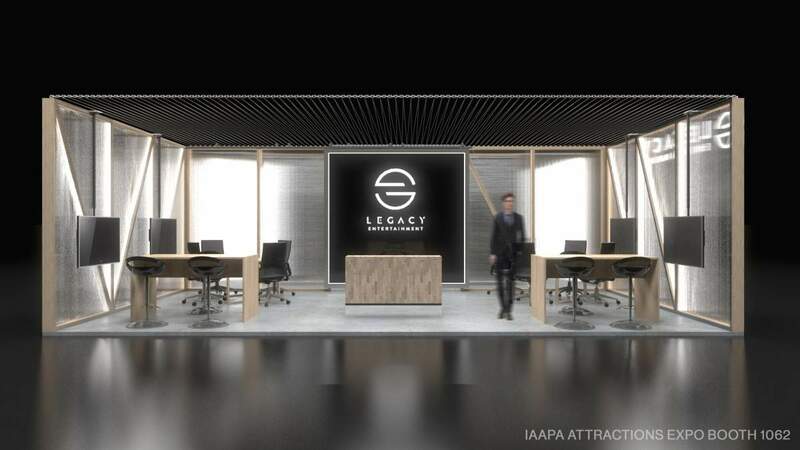 Legacy Entertainment, is set to launch its new brand identity and announce major upcoming projects at the expo. The newly-designed Legacy Booth 1062 reflects the firm’s year-long brand evolution and restructuring . It also marks the company’s transition from a sole proprietorship to senior employee ownership. Jeffs’ session will be lifting the curtain on immersive theatre attractions and how trends from the sector are being applied to theme parks, museums, retail, and other location-based venues. 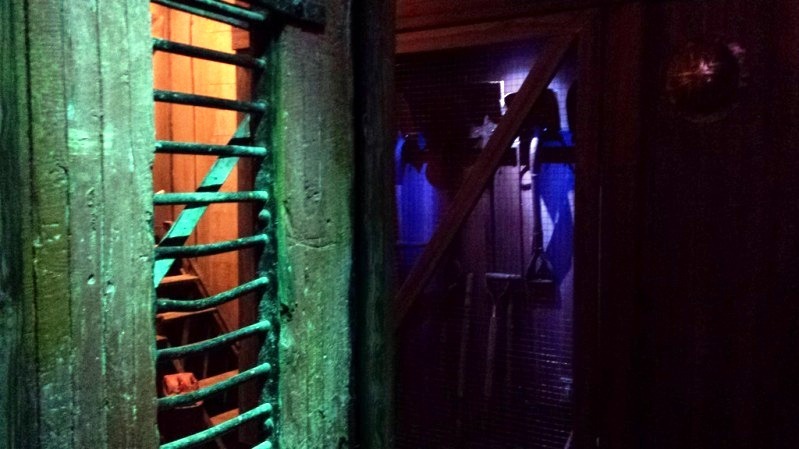 Using specific examples, Jeffs will deconstruct the key principles of immersive theatre and how they are directly influencing the attractions industry and shaping the future of theme parks. Taylor Jeffs’ session is on Wednesday, November 14th, from 2:00 to 3:15 PM. 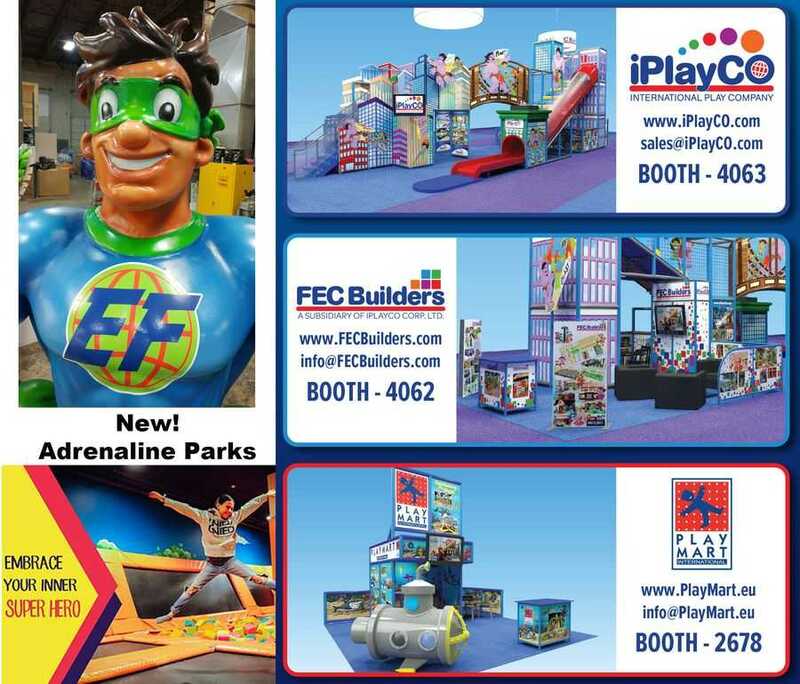 At IAAPA, iPlayCO will be showcasing their new Super Hero’s booth. The booth will feature the cityscapes, turbo slide and a Tuff Stuff soft sculpted foam space car. As well as showcasing new trampoline designs, they will also be showing a new product called Adrenaline Park – a trampoline park with a range of features including a Ninja Course and dodgeball area. 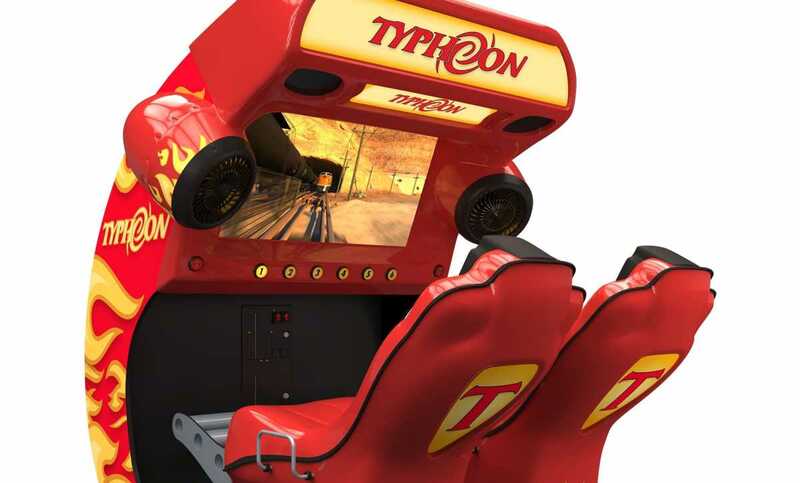 Triotech, is launching a special edition of its Typhoon coin-op simulator to celebrate the model’s 10th anniversary. Since its inception a decade ago, the Typhoon’s appeal has never waned. Featuring two motion seats side by side, it was one of the first coin-op simulators to offer a shared experience. It has also managed to appeal to all ages and genders, thanks to a varied movie selection. 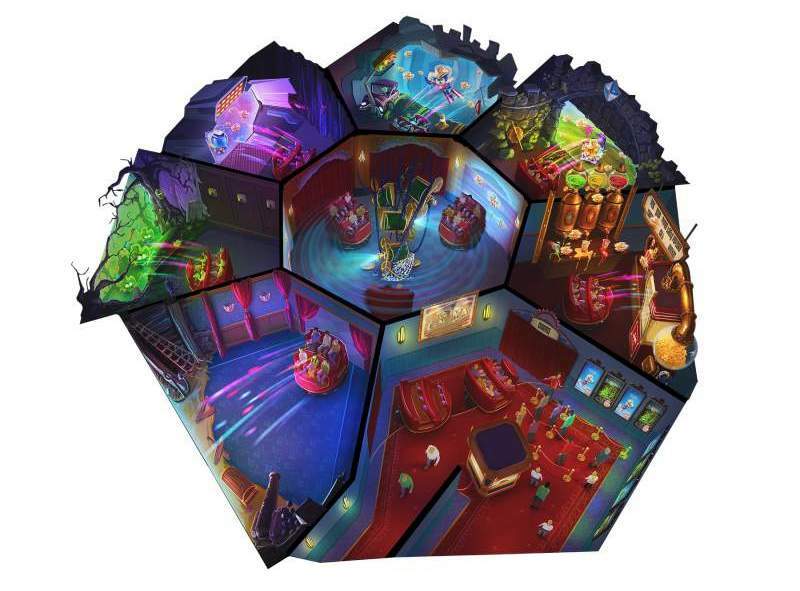 During a press conference on Nov. 14 at 10:50am, Triotech will unveil a brand-new unique team-based interactive attraction called Team Battle, as well as their latest XD Dark Ride adventure CARNIVAL. Simtec will be showing off its flying theater HEXaFLITE, Dark Rides and Funrides at the IAAPA expo. They will also be showcasing their brand new Digital Signage System called ScreenFLITE. The unique media information system was developed for the Aeroporto di Roma. 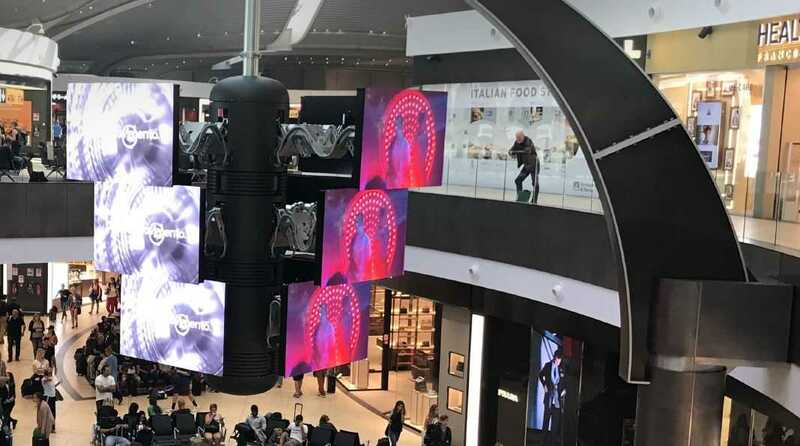 The ScreenFLITE is the world’s most spectacular advertising system within an airport. The huge digital sculpture, in the shape of a chandelier, features twelve mobile LED screens. The sculpture can move in time with the digital display. The eye-catching design is well suited for airport or station halls, shopping malls or company headquarters, hotel or museum lobbies. Hersheypark has installed the world’s first RallyRACER™ featuring exciting new RallyPOINTS™. The most innovative and game-changing technology to be added to racing in decades, RallyPOINTS bring riders together for thrilling head-to-head competition and then back into the flume, back together, back into the flume…the excitement doesn’t stop! 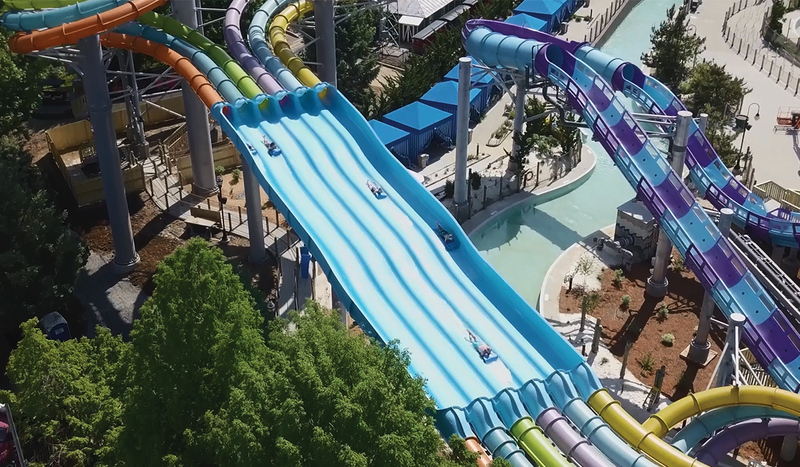 ProSlide has also reinvented racing with the world’s first Dueling PIPEline™, a new innovation that debuted at Great Wolf Lodge in Georgia this year. At the IAAPA expo, Cloward H2O will be showcasing the world’s first underwater driving experience with partners Sub Sea Systems. 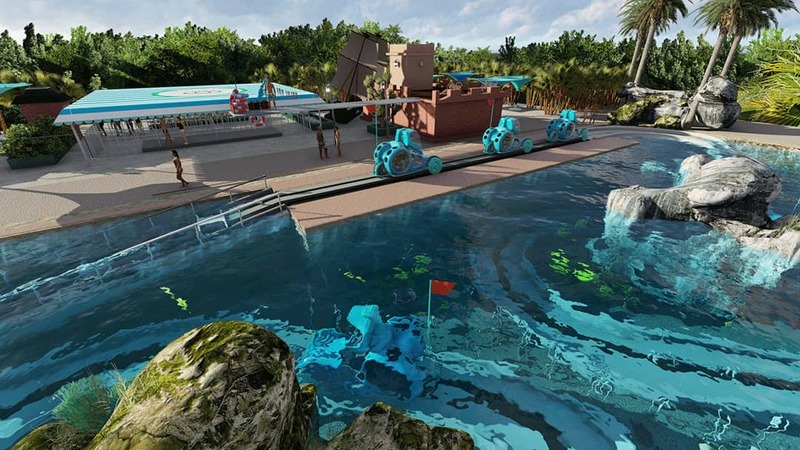 Aquaticar™ allows guests to steer their vehicle on a defined track through a themed environment up to 8 ft underwater. A calibrated flow of air beneath the vehicle is released upon passing, providing fresh air to the canopy of the vehicle but also feeds the car’s Bubble Engine™. The innovative technology harnesses the uplift force of air bubbles to generate enough power to drive the vehicles approximately 2mph underwater. Cloward H2O are leaders in aquatic environments for attractions as well as resorts. Recent projects include the hot springs pool at Ouray, Colorado and the new Fareground at One Eleven Congress Plaza in Austin, Texas. Alterface will be demonstrating the Erratic® Ride XL and NOMAD wireless pointing and shooting system at the expo. Based on Alterface’s patented camera-based detection technology, NOMAD is entirely wireless and can interact with media screens, scenery and animatronics. Its diminutive size makes it suitable for a wide range of applications, and offers new possibilities for personalisation. What’s more, it can be used by hundreds of visitors at the same time, enabling any type of action such as shooting, moving, circling, pointing, etc. The Erratic Ride is the first non-linear, interactive ride on the market. The Erratic ride will use dynamic scene changing, in which players determine the sequence of events based on their ranking and preferences. Alterface says the innovative new ride can be installed in a relatively small space, maintaining a high throughput. You can also join the team for an informal drink at their booth on Tuesday 13 November at 4.30pm. The company will showcase Parkpass, a customised RFID wristband that offers theme parks and family entertainment centers a new way to enhance the guest experience. 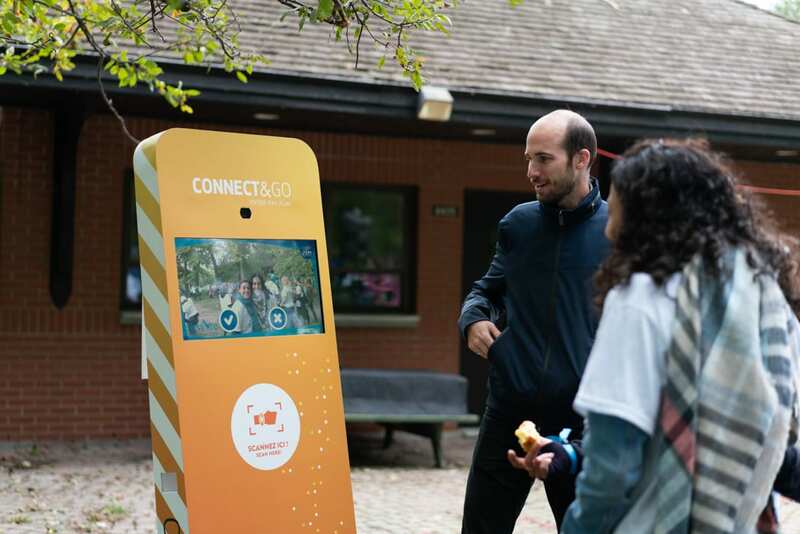 Including Ticketing, RFID Access Control, Cashless Payments and Experiential Activations, the Parkpass that generates a better overview of park operations and understanding of consumer behaviour whilst offering revenue-generating opportunities, increased security and facilitated communication with guests. 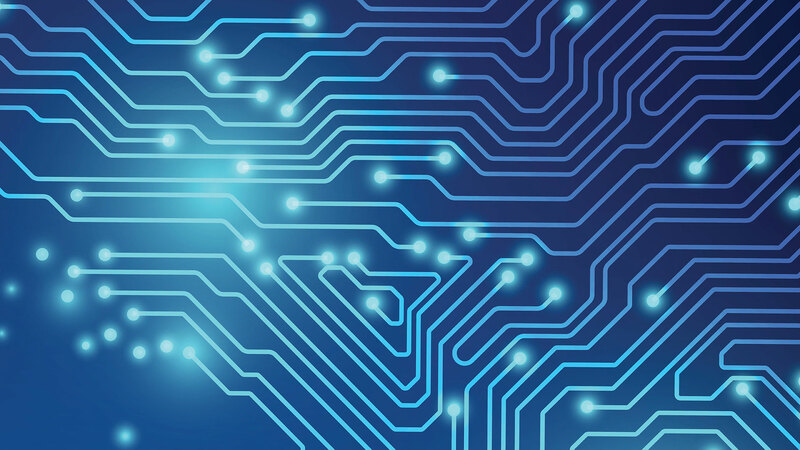 The Canadian company recently opened it’s European headquarters in Paris, and completed projects such as the world premiere of Ready Player One at SXSW, and a contactless pay experience at the Superbowl. The company will be showcasing their new product collection called Waterways. 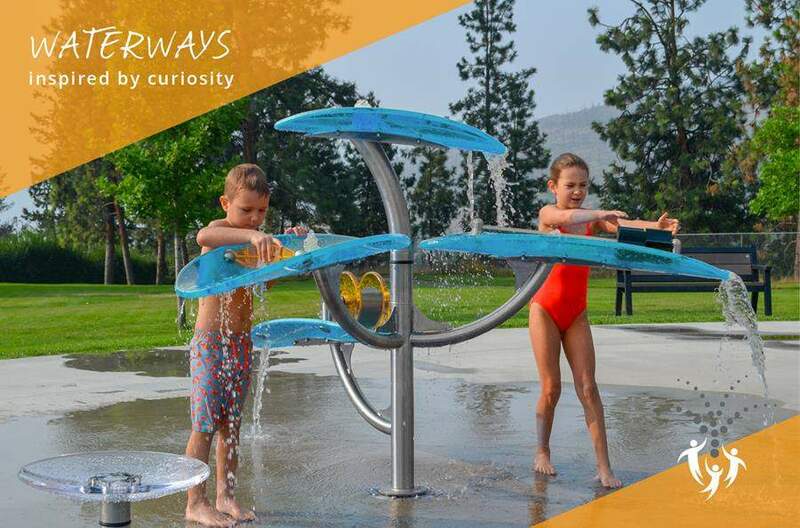 Waterplay Solutions, has announced the launch of its brand new Waterways collection. According to the company, Waterways has been designed to ‘inspire curious minds’. Elements promote interactive, collaborative play experiences and support childhood development through skill-building activities. 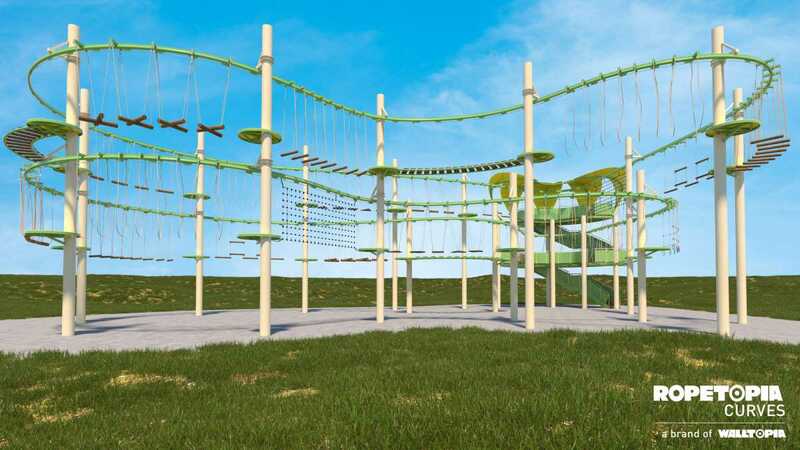 Designed for all ages and ability levels, Waterways features five separate products which can used as standalone attractions or combined to create a larger, more dynamic play experience. With cost-effective installation and maintenance in mind, the unique construction features only one surface connection point per feature. 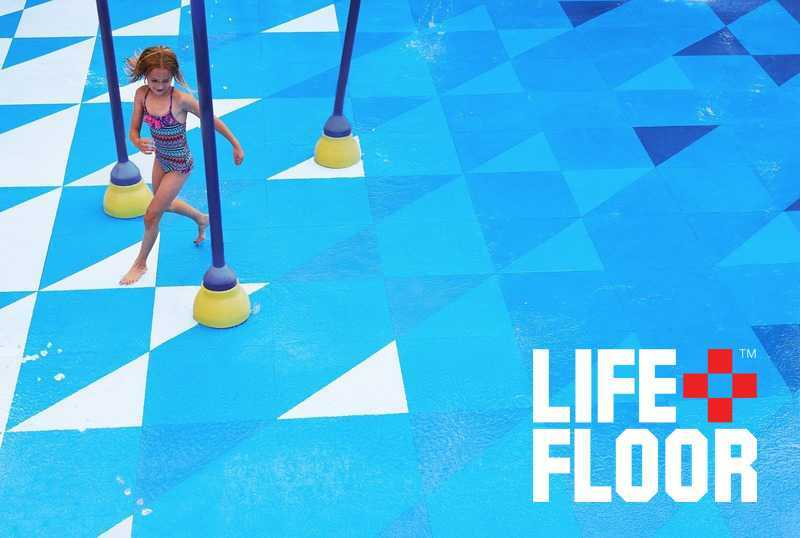 The company’s award-winning foam-rubber flooring system is the only safety surface specifically designed and engineered to perform in aquatic environments. Attendees will be able to check out the new hexagon floor design in vibrant playful colors and new collateral pieces specific to Life Floor. Guests will also see theming to take home after the show to inspire new designs with Life Floor. Leveraging on decades of business experience of its team VGS has developed a comprehensive set of services and functionality which integrate, in one single online platform, all features required for the commercial and operational management of major events, theme parks, aquariums, attractions and resorts. The result is a modern and open customer centric platform delivering all needed for real-time products’ distribution and integrated smart city experience. VGS operates via its fully owned subsidiaries in Italy, USA, UAE, Singapore and with partners around the world. Products being promoted at this year’s show include 3D/4D effects theatres, Immersive Tunnels, the Immersive Adventurer, VR 4D Rides, the Stargazer motion ride, Mini Flying Theatre, AGV (Advanced Guidance Vehicle) dark rides, the Cobra motion ride and ParadropVR. In addition to projects within the UK, Simworx has designed, built and installed its products throughout the world, including in Europe, North America, South America, Asia, New Zealand and the Middle East. 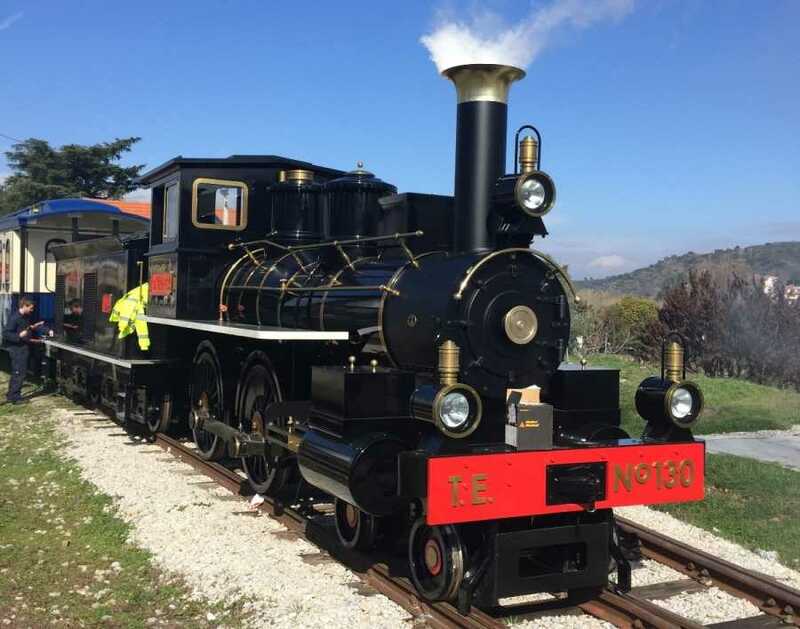 Venues supplied include amusement and theme parks, family entertainment centres, museums, aquariums, safari parks, zoos, retail malls and the education and corporate sectors. Simworx will have a fully operational ParadropVR on the IAE booth so visitors can experience this exciting, fully immersive virtual reality product first hand. 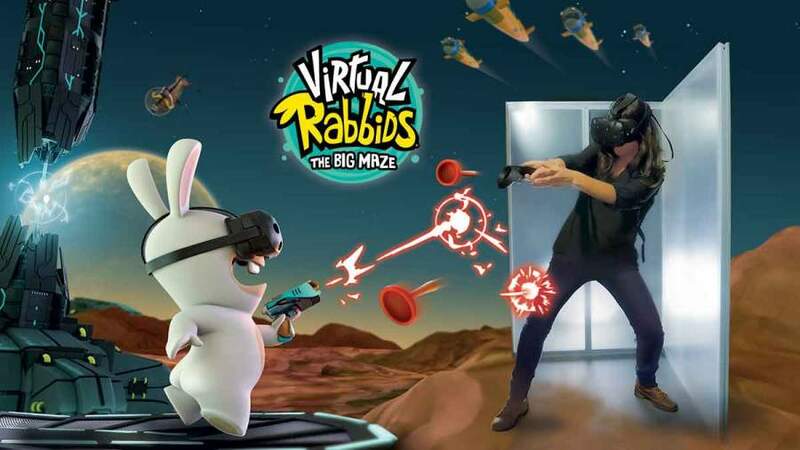 At the LAI Games booth, the company will showcase their hit VR attraction Virtual Rabbids: The Big Ride alongside latest games: HYPERshoot, Let’s Bounce, Snapshot photo booth, and classic arcade titles: Speed of Light, High Five, Color Match. You will also be able to spin the Wheel of Chaos to win a prize, including new game technician multitools! The Locker Network will be offering live demos with their expert team. They will be showcasing their waterproof touchscreen locker system with patented, ultra-secure anti-jamming locks. They will be showcasing all Active Entertainment products. During a press conference on Wednesday, November 14th at 02:25 pm in the IAAPA Press Room, they will showcase their new product called Ropetopia Curves. The next-gen course features ‘an entirely new’ belay line intended to offer venues much more flexibility in terms of design. According to Walltopia, previously unusable spaces can accommodate a Ropetopia Curves course thanks to its simple implementation. The new product also promises much higher throughput than a standard ropes course because users progress in one defined direction. LDP can put together an improvement strategy that will enhance your existing leisure business, and help implement it. LDP has unrivalled insight into what is working now and emerging trends. 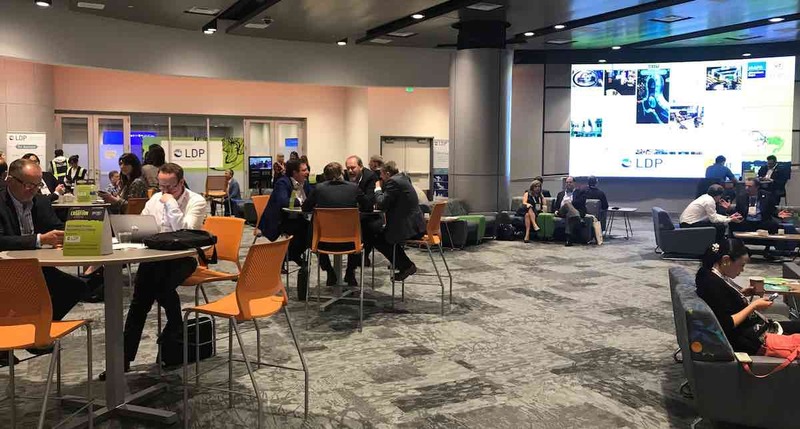 The International Business Lounge breakout space is gaining a reputation as a place to get business done, refresh and enjoy free WiFi during the busy pace of the show. Contact: BusinessSolutionsArchitects@gatewayticketing.com or arrange meetings via Calendly. Reporting Plus: This reporting solution captures all transactional data so customers can access a suite of standard reports or develop custom reports. 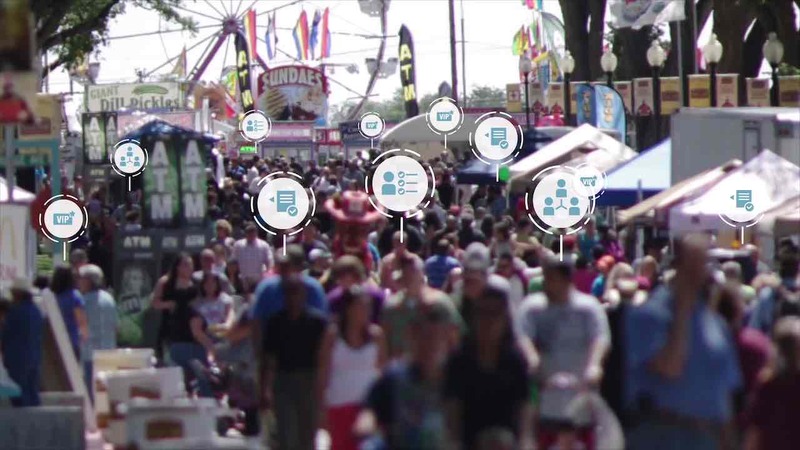 CRM Plus: This customer relationship management tool enables attractions to better understand their customers’ purchasing behaviors and ultimately provide them a better experience. Galaxy Connect ™: This award-winning cloud-based platform enables attractions and online travel agencies to easily and securely sell live tickets, even for capacity-managed events, with just a single integration. Galaxy Connect also eliminates the need for vouchers, saving hours of tedious back-office work. Severn Lamb will be showcasing their extensive portfolio of leisure, resort and amusement transport including rail trains, trams, trolleys and funiculars- all available with a choice of diesel or battery-electric power, modern light rail solutions, land trains, period replica vehicles and special purpose vehicles including our Adventure Truck. Clients will also be able to find out more about some of their exciting new projects including high-tech battery electric Texan rail trains for the new Shanghai Haichang Ocean Park in China, beautiful battery electric Double Deck Trolleys for a new development in Egypt and three highly themed battery electric Lincoln based rail trains for a new park in Qatar. Wyatt Design Group will be at IAAPA to show off what they’ve been up to lately. The company is in the early planning stages of theme park destinations in China and Korea, and slated to proceed with final design on two projects in the Middle East. This past year they have been working with art and entertainment company Meow Wolfon their new Denver and Las Vegas installations, providing planning, technology, and operations consulting in collaboration with Fox and Crow and Management Resources/Pro Fun. As well as designing an indoor/outdoor adventure park for a four-season resort in the U.S, Wyatt has also been working with Cedar Fair Corporate on long range development planning for three of their theme park properties. Contact: Arrange a meeting via their website. 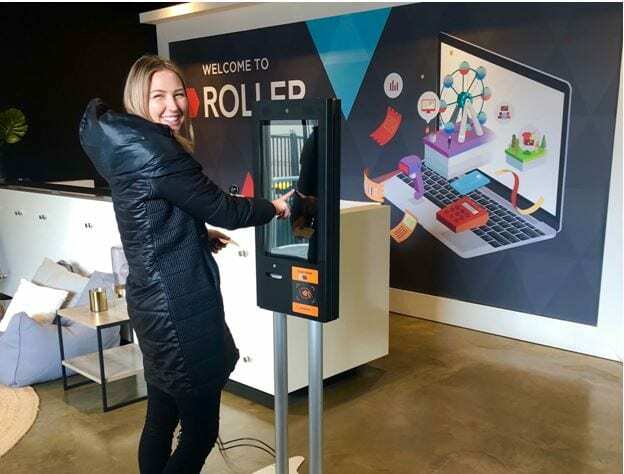 Leading tech innovator for the leisure and entertainment industry, ROLLER, will be demonstrating its new Self Serve Kiosk. Self Serve Kiosk streamlines POS, ticketing and even waiver-signing, reducing queues for a better guest experience. What’s more, staff are free to spend more quality time with guests. Instead of being stuck behind the register they’re out in front, welcoming guests to the venue and creating a positive first touch point. According to ROLLER, the company has invested significant time and resources into researching and developing a solution that will bring tangible improvements to the guest flow and experience. They will be unveiling a new capability at the conference. 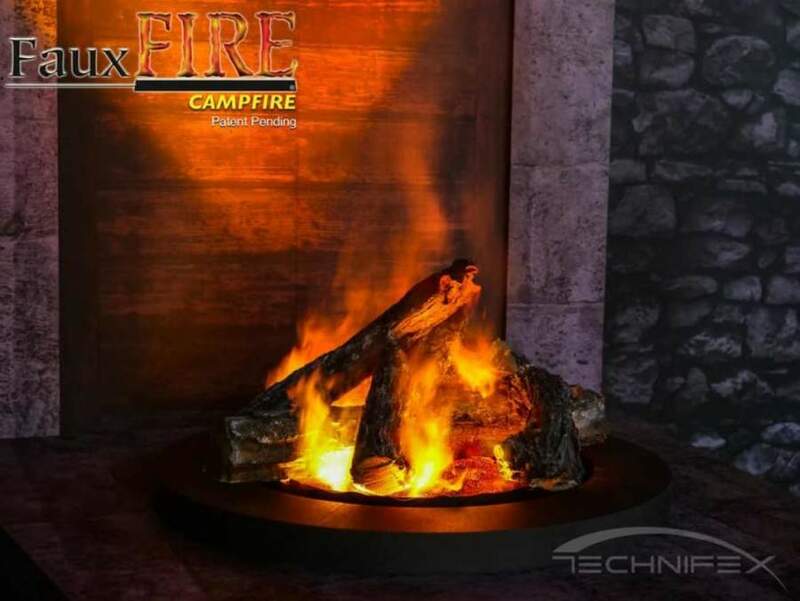 Technifex, a leader in live and simulated special effects and turnkey attractions, will be demonstrating its FauxFire range of realistic flame effects at the IAAPA expo. Designed and engineered by Technifex, FauxFire is billed as the world’s most realistic-looking, fake flame effects. Completely safe, the effects are created with theatrical smoke or steam, and specialty LED lighting. Fully controllable and scalable, the FauxFire Afterburner is ideal for adding drama to dark rides, haunted houses, concerts and theatrical presentations. FauxFire Campfire is available in two versions – a steam-based system suitable for permanent applications, and an option that employs a combination of theatrical smoke and LED lighting. Both create the look of real campfire flames, but the latter is designed for temporary applications such as trade shows, special events, haunted houses, concerts and theatrical presentations. Media-based attractions specialist, Lagotronics Projects, has revealed that there is a new GameChanger installation in the pipeline ahead of next week’s IAAPA Attractions Expo. While details are in short supply, the company has said that it will be built in the US, in an FEC with an ‘amazing and well-known’ IP. Readers are advised to watch this space. Elsewhere, the universal appeal of the company’s Farm Fair IP is taking it to Asia. 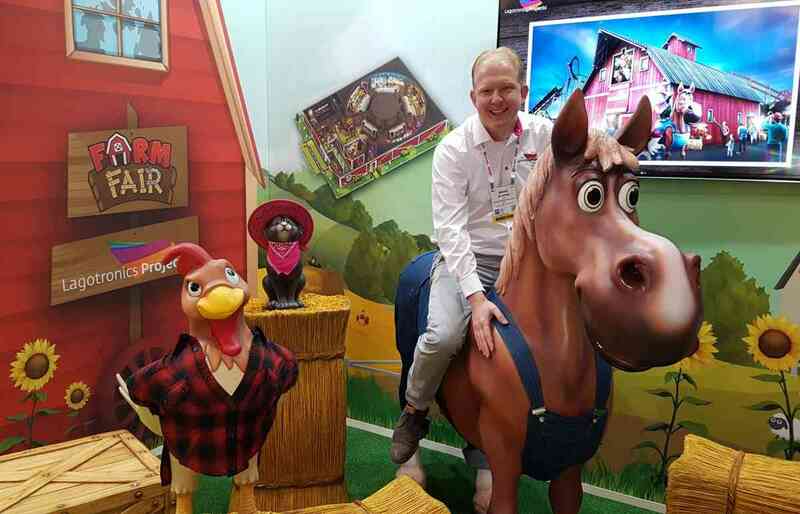 Following the success of the Farm Fair GameChanger in Germany, Horse, Cat and Rooster are preparing to cause mayhem in a Farm Fair themed interactive dark ride in Japan. Gantom will be showcasing the GP003 (Pro Cable system). The Pro Cable system is a plug-and-play system for permanent installations. All Precision Series and Gantom Series fixtures are available in a Pro Cable compatible connector option. 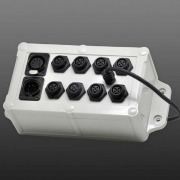 This option has both low voltage power and DMX signal integrated into a single locking connector for easy and secure installation. Pro Cable connectors are sealed water-tight and securely lock together for either temporary or permanent installations in both indoor and outdoor environments. Gantom manufactures the world’s smallest intelligent spotlights. Designers that want to hide fixtures in plain sight, while achieving superior color quality at low voltage, choose Gantom. Gantom illuminates every major theme park worldwide, along with museums, zoos, aquariums, event halls, theaters, and specific high-profile architecture projects. Mousetrappe, demonstrating Panasonic products, has partnered with Jim Henson’s Creature Shop at IAAPA. During IAAPA, they will demonstrate the next leap forward in live digital puppetry. 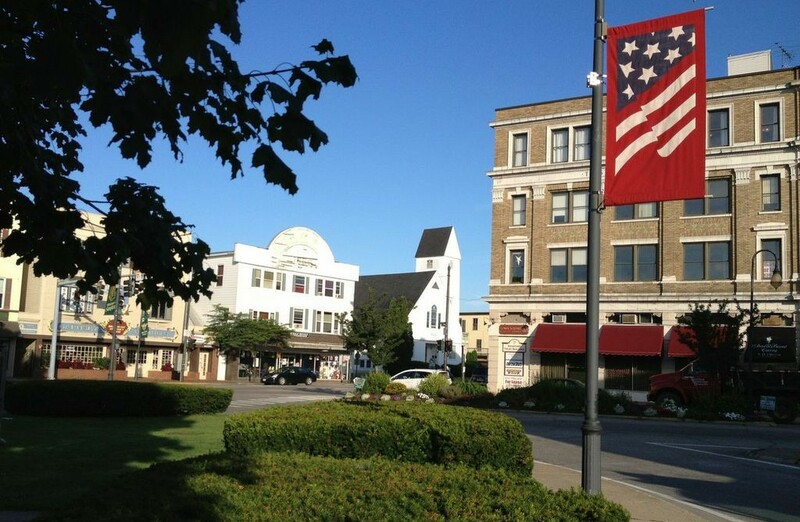 Look out for their recent work on the National Comedy Center. They will be holding an Open House in a suite at the Hilton on both Tuesday and Wednesday of IAPPA from 3:30-5:30 PM. They will be showcasing franchise opportunities for their wind tunnel technology. Immotion will be showcasing their VX2 VR Cinema Pod and GX2 Interactive VR Shooting game, along with a variety of propriety VR content designed, including the VR Experiences Delta Zero, Jinxed, and their new Christmas VR experience Elf Power Inc. The company will be showcasing their new product, Vantage, as well as a rebrand. Celebrating the opening of their Orlando office and Michael Turner joining the team. Zamperla will be showcasing Windstarz 8 Arms and Cozmojet – a new interactive kiddie ride. They will also showcase Qlinez, a new brand division. Smart Monkeys will be showcasing their services and platform ISAAC. Falcon’s will be hosting a happy hour mixer to make a special announcement at their booth from 3:00pm to 5:00pm on Wednesday, November 14th, 2017. Fantawild will be showcasing some models of their classic attractions to the show, like flying theater, 360 circle vision theater, dark ride, and a big theme park model. Swedice will be on a shared booth with Neveplast sharing the latest developments regarding the Copenhill. Kay Elliott is interested to speak to anyone wanting to discuss attraction design and architecture services including resorts/parks and hotels also suppliers of anything new and exciting rides/ tech/ logistics. The team will be available to meet at the nearby Rosen Centre on Universal Boulevard or at the expo.